After Stephen Hawking's guest appearance "The Big Bang Theory" season 10 episode 9 titled "The Geology Evaluation," another well-loved star who has been in the "future" is about to appear on the show. Doc Brown is visiting the geek stars of "The Big Bang Theory." Christopher Lloyd of the iconic "Back to the Future" trilogy will be having a guest appearance in the comedy. The role of the veteran actor in the tenth episode is still a mystery. "We're so excited to be working with Christopher Lloyd, and think we've created a fun part that fans will really enjoy," executive producers of the series said in a statement. More on what to expect on the tenth episode, Sheldon Cooper (Jim Parsons) and Leonard Hofstadter (Johnny Galecki) have decided that its time to move in with their significant others. However, Sheldon makes the move difficult as he tries to hold on to all their good stuff and give the bad ones to Leonard, much to his dismay. The fight intensifies when Sheldon tries to get back at Leonard and Penny (Kaley Cuoco) by leasing their apartment for only a dollar a night. Much to the dismay of the couple who were supposed to spend quality time at their apartment. On the other side of the show, Raj (Kunal Nayyar) and Stuart (Kevin Sussman) fight to know who is the best "nanny" for Howard (Simon Helberg) and Bernadette's (Melissa Rauch) little bundle of joy. 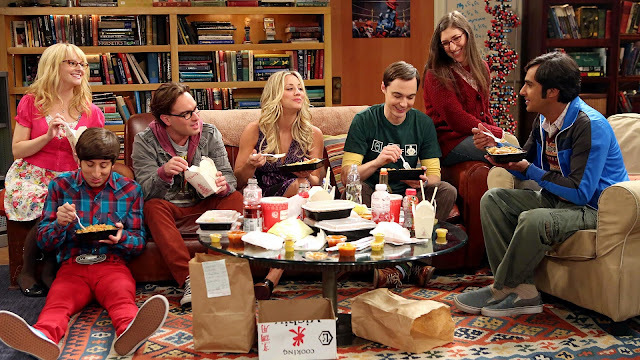 "The Big Bang Theory" is one of the most well-loved comedies on television today. Confirmation of an 11th season is still under wraps. "The Big Bang Theory" is produced by Warner Bros. Pictures and is now on its tenth season. The tenth episode will be aired on Thursday, Dec. 1, at 8 p.m. EST on CBS.